There is an increasing trend in counterfeit bearings coming out of Asia, an Indian manufacturer claims as it ramps up its fight against the fakes. SKF India, one of the largest bearings manufacturers in the country, has conducted a number of raids recently as part of its campaign to crackdown on the illicit industry, which is costing SKF an estimated Rs 150 crore ($23m) in lost revenue annually in the local Indian market, and $244m globally. Bearings are components that make machinery work efficiently and at high speeds, and are critical for industries such as automobile, aviation and construction. The presence of counterfeits can cause serious damage to the associated machinery and as bearings are used in automotive components, for example, failures can place the public at risk of life-threatening situations. 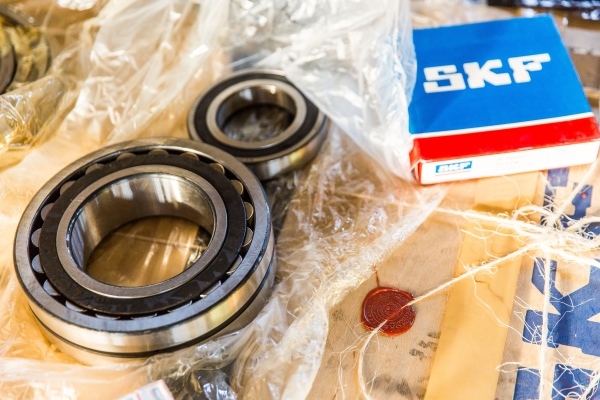 According to SKF, around 2.5 per cent of the global bearings market is counterfeit, with the vast majority coming out of Asia, and predominantly China. Company documents state: "There are large numbers of suppliers in China who are offering premium brands at relatively low cost. Recently, there is also an increasing trend in counterfeit bearings being routed via Hong Kong, Singapore and Taiwan. The illegal international trade not only poses a risk to consumers and businesses, but potentially also withholds tax and import revenues." In an interview with Autocar Professional, Shishir Joshipura, managing director and country head, SKF India, said: "At SKF, the fight against the sale of counterfeit products is of utmost priority. Being a customer-centric organisation, SKF will continue to protect our customers' interest in the best possible way." In April, the company, with help from local authorities, conducted raids at two different dealerships in Pune, and seized about 4,500 fake bearings being sold under the SKF brand name. The fake products were estimated to be worth about Rs 60 lakh ($93,000). The company also conducted raids across Mumbai, Kolkata and Chennai in January and February last year, which resulted in the seizure of fake bearings worth Rs 3 crore ($464,000). Meanwhile, in February this year, 15 tons of counterfeit bearings worth €1m were seized and destroyed in an operation in Greece, while three raids were conducted against retailers in China at the end of last year. In total in India, 22 raids were carried out in 2016, with 18 in 2015. "We have recovered fake bearings worth Rs 15 to 20 lakh ($23,000- $31,000) on an average per raid. So, you can estimate the impact of this menace on the industry," KG Sathyanarayanan, head of brand protection at SKF India, told Autocar Professional. Globally, SKF has conducted almost 148 raids as it tries to clamp down on the illicit trade. "Most of the counterfeit bearings are manufactured in China. The fake bearings produced in India are mostly circulated in India locally," Tina Astrom, director, SKF Group Brand Protection, told the publication. The size of the bearings market in India is about Rs 9,000 crore ($1.39bn), with the counterfeit bearings market in the country estimated at Rs 450 crore ($70m). "Counterfeit products are often associated with established brands across the globe. Although the sale of counterfeit bearings is a problem in India, Indian law enforcement is professional in their actions against counterfeiters," Astrom said.